In my opinion, choosing a filter system is a big consideration when getting an above ground pool. The filter system is what you’ll be working with the most as it’s the main component responsible for taking care of the pool. Of course getting quality products and acquiring the correct size pump and filter for the pool are important, but for the sake of this blog post I’m going to focus on the types of filter systems you can get. 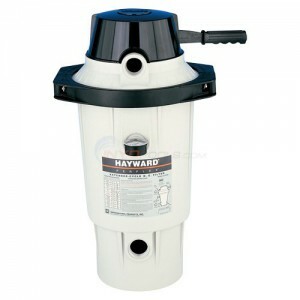 Most of the time above ground pool filter systems come in a pack. It’ll come in one big box and have the pump, filter, base or pad, and any fittings needed for assembly and hoses for attachment to the pool. Here we go then. Let me start here by saying I’m not a big fan of sand filters. I’ll explain why after the description. 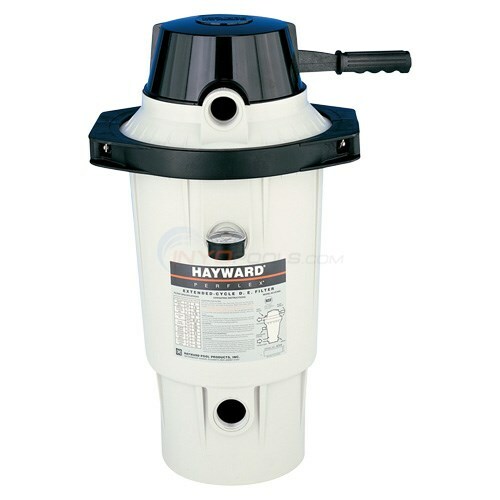 A sand filter has a big container for holding the sand and a multi-port valve for directing the water flow. They use a special type of sand called filtering or silica sand that has bigger pieces (aggregates) than normal play sand. These filters can hold from 50 to 400 pounds of sand depending on the size. Pool guy’s observation: I have seen people use regular play or mason sand for their pool’s sand filters. It doesn’t work so don’t bother trying. Anyway, at the bottom of the container holding the sand, there are plastic fingers with several slats cut into them. The slats are thin enough just to allow the water to pass through them and not the sand. The way a sand filter works is the dirty water from the pool enters the container from the top and then has to make its way down through the sand and finally leaves the container through the fingers at the bottom and heads back to the pool hopefully cleaner than it was. As the dirty water passes through the sand, larger debris gets trapped in the sand mass. This is how it cleans the water flowing through it. After a couple of hundred hours of dirty water running through it, the sand mass starts to fill up with trapped debris and then has to be cleaned. The sand gets cleaned by turning the filter’s valve to backwash. Backwash reverses the direction of water flowing through the sand mass allowing the trapped debris to come loose from the sand and flow out into your backyard. This is how you clean the sand. I don’t really like sand filters because they don’t filter the smaller particles from the pool water. This means if the pool turns green (and it will at least once), you’ll have a much harder time getting it back to clear with the sand filter. Also, a sand filter is a closed system which means you can’t easily see what’s going on inside. Sometimes the sand gets caked and then only some of the sand is doing the filtering and you never know it. Lastly, the multi-port valve will eventually get hard to turn and will need maintenance or replacement. Let me start again by saying this is my favorite type of filter. I’ll explain why after the description. Cartridge filters are very simple. They have a container that holds a cartridge. This cartridge is a cylinder that holds a type of synthetic denim (that’s my term) material in long pleats equaling between 25 to 200 square feet of area. This filter container has a water line for dirty pool water to enter it outside the cartridge and a line for the clean water to leave and return to the pool. As the dirty water enters the filter, it has to go through the pleated material of the cartridge which traps the debris and allows only the clean water to exit and return to the pool. After a couple of hundred hours of dirty water passing through the cartridge, it starts to get clogged and has to be cleaned. This is achieved by opening the filter container, removing the cartridge, and washing it down with a pressure nozzle attached to your garden hose. Cartridge filters are my favorite mainly because they work well for taking smaller particles out of the water which is great when the pool turns green. I like it too because the filter is opened when the cartridge is cleaned which gives you the opportunity to inspect the condition of the filter. And a cartridge filter has no multi-port valve that becomes hard to turn or starts to leak. This is the best filter you can get in terms of filtering ability for you pool, but I rarely recommend getting one. I’ll explain again why after the description. 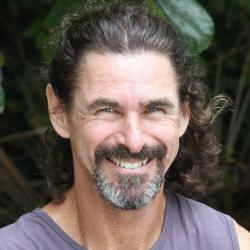 Diatomaceous earth or DE filters are named so, because they use this DE material for the filtering. Diatomaceous earth is the crushed remains of some fossilized algae from some time long ago and is used for a lot of different things. It is excellent for trapping micro debris as water passes through it. DE filters have a container that holds several panels or long fingers that are framed out in plastic and then wrapped in an even heavier synthetic denim material (my term). These panels or fingers are all attached to a manifold that is connected to the water return line. Most DE filters have a multi-port valve, but some don’t. The DE powder has to coat all of the panels or fingers inside the container. This is done by turning on the pump and allowing the filter container to fill. Once filled and the water is running all the way through the filter and back to the pool, a few pounds of DE powder are introduced in the pool skimmer. As the powdered water enters the filter container from the skimmer line, the DE completely coats the panels/fingers. Now it’s ready to filter dirty water. The dirty water entering the filter container now has to go through the denim panels coated with DE powder in order to make it back to the pool. The DE catches all the debris from the water nicely. After a couple of hundred hours of dirty water passing through the powder, it starts getting clogged and has to be replaced. This is achieved by setting the valve to backwash which, like the sand filter, reverses the normal flow of water in the filter sending the now dirty DE powder into your yard. Afterward, new DE powder is added again by way of the pool skimmer. Even though DE types filter better than cartridge types, I prefer a cartridge filter for a couple of reasons. DE filters cost a bit more than other filters for one and under normal conditions it’s not worth it. Also, like the horrid sand filters, DE filters are closed systems so you can’t easily see their condition on the inside and they also mostly have that pesky multi-port valve. The biggest reason I rarely recommend the DE filter is because of having to work with the DE powder itself. The powder is snow-white and seems harmless, but it’s a very toxic material. You wouldn’t want to breathe it in or get it in your eye. Read about it for yourself. Get a good-quality cartridge filter that is big enough for the size pool it is filtering and make sure it’s made in the USA. 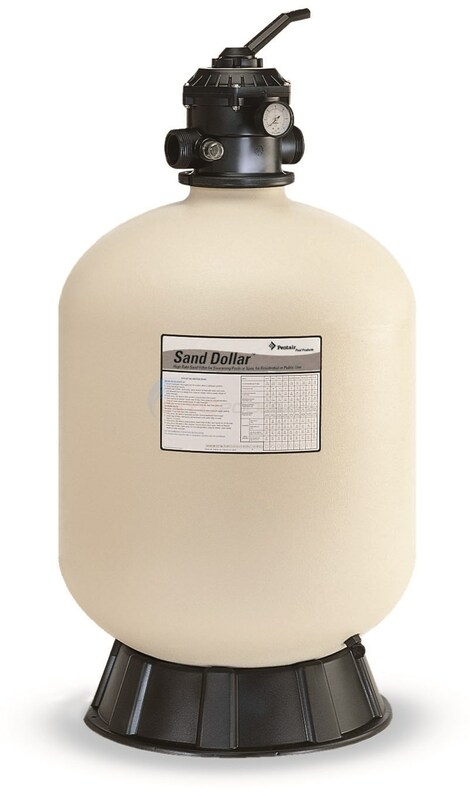 If you want a sand filter, I get it. You’re from the northeast and you don’t know any better. When your pool turns green and you can’t get it back to clear, find my blog post on how to get a green pool clear and good luck. I have a problem with my filter- perfect pressure in pump and good pressure on recirculate but poor pressure on filter and backwash leaks on all settings ! What could be wrong? Yeah, that would be the Multiport valve. If yours uses a replaceable spider gasket, start there. If not, replace AT LEAST the Key Assembly (top cover, handle, cover gasket, spider gasket, and interior diverter); else, replace the entire valve. They do age, just like anything else. Poolside Chat Episode #28: Which Pool Pump Timer Do I Need?